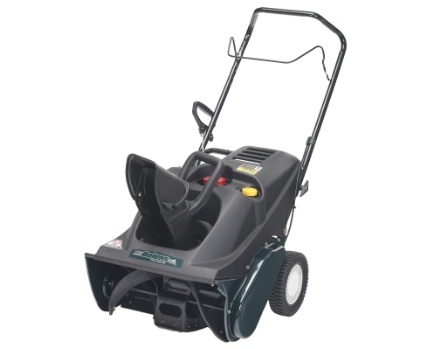 Just bought this machine but have not used it due to snow fall. Liked the bigger 208 cc power more engine, the new shrouded version which covers the gas tank and top of engine. Has the larger 9 ” x 2″ wheels, the controls are all clustered together for convenience, the handle & fold down design, all steel powder coated welded housing and the rubber stitched paddles rather than all 1 piece plastic. Appears to have a bit smaller paddles and an 10 ” intake rather than 12″ or 13″ intake. Seems to be very solid and very mobile. Waiting for the snow to try it out. Have not seen many reviews. would appreciate some feed back from the owners who have this machine. Picked this one over the Toro 1800 model, both were about the same price.